In a rather shameless display of comedy of errors, a group of lawyers, under the aegis of the National Bar Association (NBA), Ikeja Branch, a.k.a. Tiger Branch marched from Ikeja Roundabout to the Lagos State House of Assembly to protest the review of the state’s Land Use Charge (LUC) on Tuesday 13th March 2018. Interestingly and in a curious twist of events, these champions have been shown to be tax evaders, or at best have been grossly under-paying for their properties. 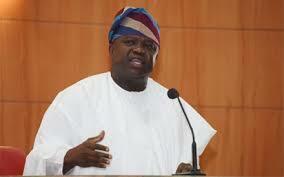 This has been revealed in an exclusive document obtained from the Lagos Internal Revenue Service (LIRS). For instance, the Chairman of the Nigerian Bar Association, Ikeja Branch, Barrister Adesina Ademola, Ogunlana, who led the protest pays a paltry pay-as-you-earn tax of N5,000 per annum. Same goes for the vice-chairman, Carol Ibharuneafe who also pays N5,000 annually as tax. More shocking is the revelation that the likes of the NBA Branch Secretary, Muna Esegine, the Treasurer, Coco-Bassey Thelma, the Social Secretary, Jemerigbe Eyinmofe and the Welfare Officer, Tanimowo Oluranti were not paying taxes as at 2009 as revealed by the same exclusive document! Others who paid taxes that cannot equate to liveable status are the Assistant Secretary, Adedokun Issa Akanji (N1,250), and the Publicity Secretary, Akinwale Ajibola (N15,000). This sad and sordid scenario throws up some burning questions. Do these gentlemen of the bar stand on any high moral ground to hold protests against a government that means well for the good people of Lagos State? NO! Truth be told, tax payment is an internationally agreed sustainable source of revenue generation. Anyone that does not support it certainly does not mean well for the state in particular, and Nigeria at large.